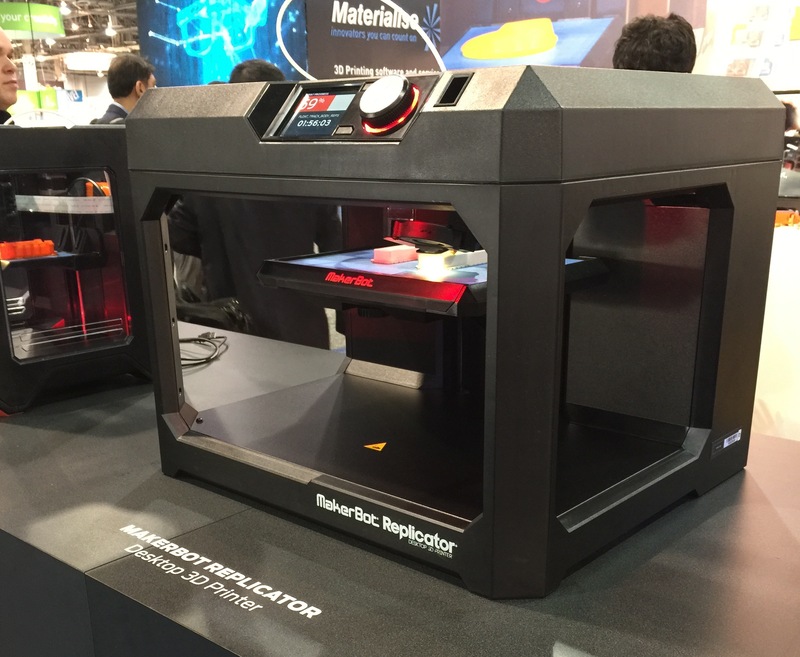 A desktop 3D printer on display at the MakerBot booth during the 2015 CES. 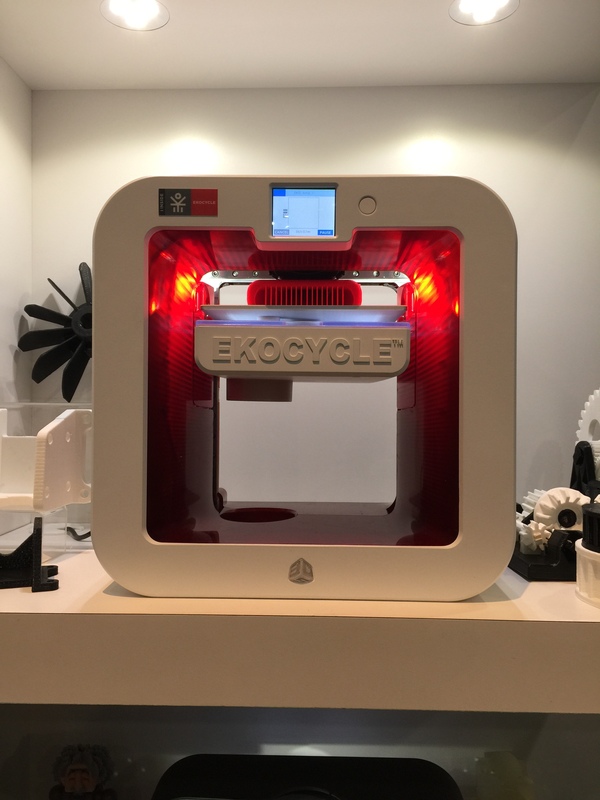 It would be an understatement to say that 3D printing is a big draw at the 2015 CES. The industry is well represented with small startups and well-known companies shilling the latest and greatest technology for creatively minded consumers. But aside from jewelry makers, hobbyists and educational institutions, we’re left wondering why would the average consumer want a 3D printer and what would they actually use it for? Sure a 3D printer might be great if your chess set is missing a rook or if you just have to make a 2015 Christmas ornament, but other than that, it’s hard to see the non-novelty appeal for such costly machines. Still, engineers within the industry are working hard at CES to convince even the most basic consumer that a 3D printer is the next must-have device. Howard believes that it will probably take a whole generation of kids that grow up relying on 3D printers before the products will be ubiquitous in the home. 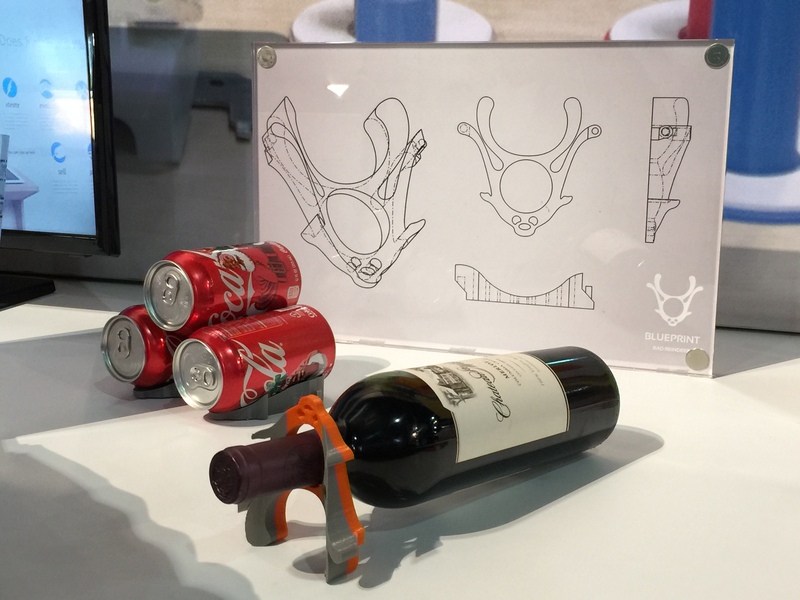 Consumers can print their own wine holders with MakerBot printers. That’s not to say that MakerBot, a New York-based company that produces a plethora of 3D printing devices, accessories and designs, isn’t trying to sell their product to the everyday consumer. Tomas Garces, an engineer with the company, tells Consumerist that consumers shouldn’t be intimidated by the printers, that they are accessible for all people. He says the normal consumer would find a million uses for the printers. 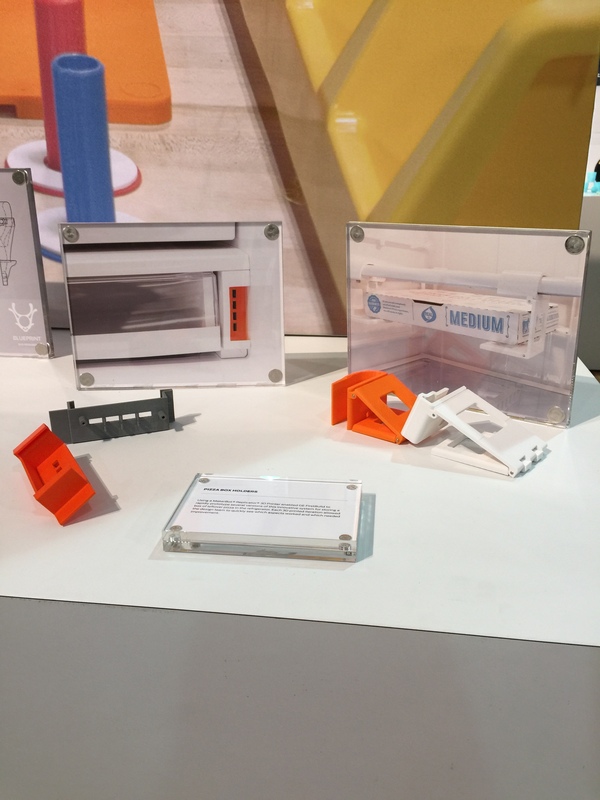 A few of the examples showcased at the MakerBot booth included a wine holder and pizza box holder customizable for General Electric refridgerators. Buy a 3D printer and you can make your own fridge pizza holder. While we’re sure a wine holder could come in handy you probably aren’t going to need more than, say two or three. In that case, Garces says consumers can use the printers to make replicas of products they see for sale at retail outlets with their own unique customizations. But in order to do that, one would need a pretty extensive knowledge of 3D engineering and design, something most of us everyday-folks aren’t exactly proficient in. Still, representatives with 3DSystems, a South Carolina-based company, say that unique, easily customizable designers are readily available online and through their marketplace. For instance, you can 3D print a pair of shoes or cookie cutters for your next baking party. Keith Oraz, customer experience representative for 3DSystems, tells Consumerist that the company’s mission is to provide a tool that empowers creativity. “With 3D printers if you’re a creative person, you’re only limited by your imagination,” he says. 3DSystems displayed a range of footwear that consumers could make with their home-based printers. 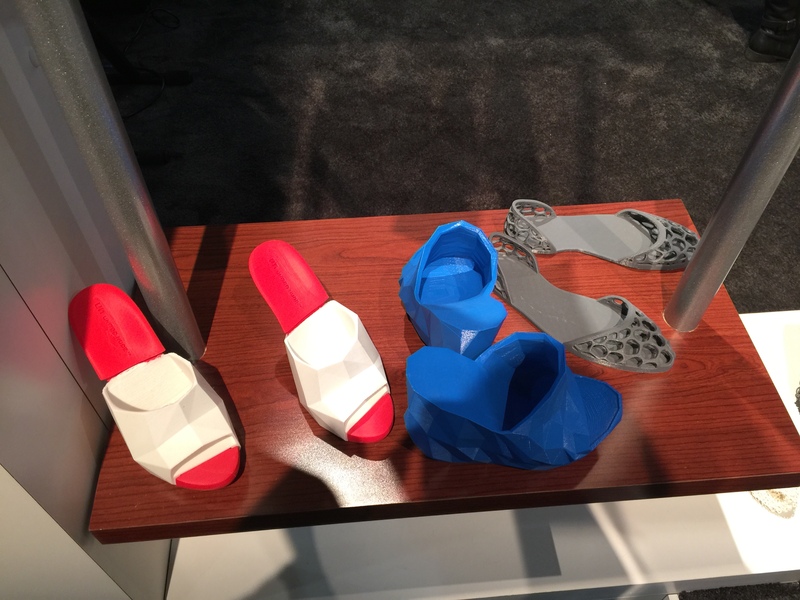 To illustrate some of the products that consumers can make in their homes, 3DSystems had shoes, bags, clothing, toys and a number of other 3D printed objects on display. While those shoes look… interesting, I’m not exactly sold on their comfort. Jerry Grauman, a production manager for California-based Robo3D, says that household 3D printers should inspire consumers to complete their space, while also encouraging creativity in younger generations. 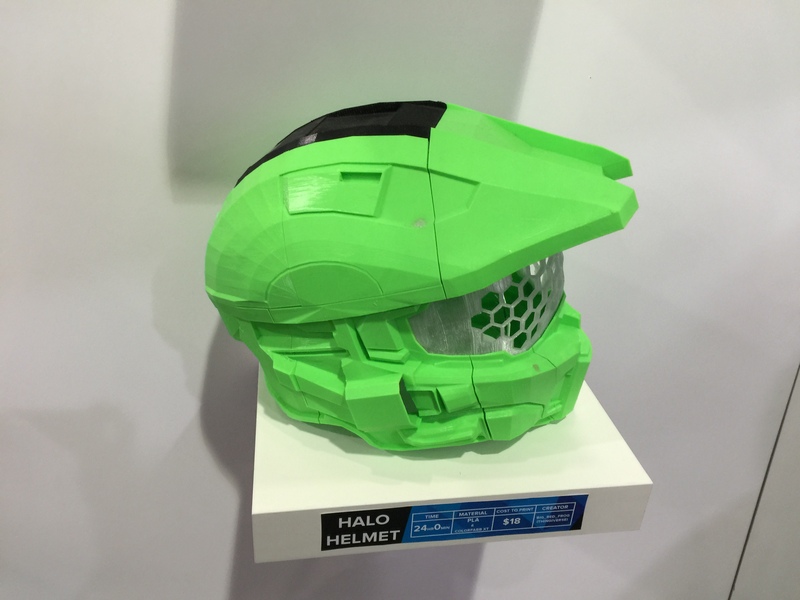 Robo3D displayed a Halo helmet that could be made with a 3D printer. Representatives with Aleph Objects Inc., a Colorado 3D printing company behind Lulzbots, says that customers routinely use their home-based printers to make gifts, replacement parts for vehicles and household appliances. However one of the major issues facing the mass-market use of 3D printers is the high-cost of actually owning one. 3DSystems’ Cubify 3D printer retails for around $1,000. 3DSystems’ Cubify platform retails for about $1,000 at retailers like Staples. Likewise, the Lulzbot Desktop Mini 3D printer retails on Amazon for around $1,350. For the consumer not looking to shell-out that kind of dough, Robo3D, a California-based company, offers a fully enclosed R2 mini model for between $399 and $500. On top of the base price for these machines comes a range of other required purchases. Because most of us wouldn’t be able to design a functioning lamp from scratch, we’d need to purchase a design. And then to actually make the lamp we’d have to spend more money on the filament used to bring the print to life. But the real question we might have to ask ourselves before jumping into the 3D printing pool is, does the time spent designing and waiting for a print to come to life (anywhere from 30 minutes to hours) make it worth any kind of savings you might find by making something at home rather than buying it from a retailer? That’s one question many of the representatives at of 3D printing companies at CES couldn’t quantify. Previous Quantum Dots Are The Hot New Thing At CES. So What Are They, And Why Should You Care?